Ensuring the economic health of nations is one of the biggest tasks expected of governments. The elephant in the room has long been the health of the environment, on which the health of the economy (and everything else) ultimately depends. In Botswana, where elephants are included in the nation’s environmental accounts, spending on wildlife conservation is now seen as an investment, rather than a cost. This example shows how integrating environmental assets into economic data can help provide a new policy framing for conservation. But worldwide, this type of “expanded accounting” has had limited impact on policy decisions so far. This provides a clear starting point for conservationists and economists to work together. So far, little has been done on the valuation of biodiversity, and the work that has been done so far has not progressed very far on the question of how to integrate environmental and economic values into national accounting. On one hand, putting monetary values on biodiversity has been decried as the commodification of nature. But we argue that without using appropriately defined monetary values, the environment will always be vulnerable to economic forces. If Aichi Target 2 is to be met by 2020, we clearly need an agreed concept of biodiversity value, and a shared approach to recognising it. Crucially, as well as calculating the environment’s contribution to the economy, we also need to assess the requirements for maintaining and enhancing biodiversity. To return to the example of Botswana’s elephants, this means recognising that elephants need land and water (Botswana’s wildlife consumes 10% of all its water, with elephants accounting for most use). 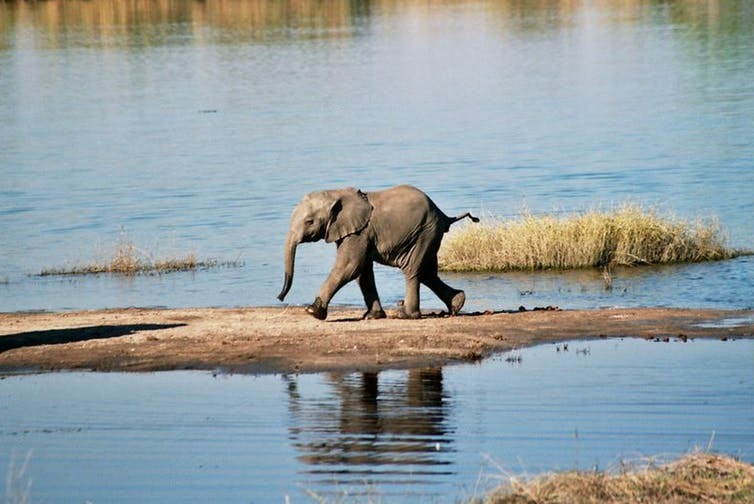 As tourism-related industries generated roughly US$2 billion in 2013 (Botswana’s second-largest sector by revenue, with mining the first), the allocation of water and land to wildlife is clearly a prudent investment decision. This approach can also reveal the impacts and trade-offs resulting from different land uses on environmental values. In Victoria’s Central Highlands, for example, the cessation of native logging would reduce revenue from timber production, but would also help support a range of rare and endangered species, including Leadbeater’s Possum. It would also benefit a range of other industries like agriculture, as well as the people in cities like Melbourne. Like any accounting system, these estimates of the economic value of the environment would need to be updated, ideally annually, if they are to remain relevant in underpinning governments’ decisions. This would also entail regular data collection on the species and ecosystems themselves. Unfortunately, however, consistent long-term nationwide monitoring of biodiversity at the species or ecosystem level is rarely done. And while remote-sensing offers some promise for landscape-scale monitoring of major ecosystem types (such as tropical savannahs, temperate forests, wetlands), there is generally no substitute for boots on the ground. This month’s summit in Egypt offers an opportunity for countries to reaffirm their recognition of the benefits that biodiversity provides to people and the economy. It also provides a chance to go further, to agree that integrated accounting will help us understand and appreciate the trade-offs between the environment and economy. Recognising and accounting for the elephant in the room would be a great achievement – not to mention a sound investment in the future. The authors would like to acknowledge the contribution of Heather Keith to this article.